While most kids his age are busy playing Fortnite, 11-year-old Yumo Soerianto is developing augmented reality games. Kids like Soerianto are the future of the augmented reality field — they'll likely be coming into their own as professional developers right as AR technologies become lightweight and powerful enough to be contained in a pair of sunglasses. Kids that grasp not only coding but augmented reality are a future pipeline of talent with fresh perspectives on how AR experiences should work (as opposed to veteran coders who are working now to adjust to new paradigms like user interfaces for AR). Soerianto already has two augmented reality mobile apps to his credit, along with five other mobile apps. Apple highlighted his first AR app, Let's Stack AR, as Game of the Day in the App Store. He followed that up Fireworks Builder AR, a game where players can construct a virtual rocket, launch it into the air, and watch it explode in color. And, based on demo videos from his YouTube channel, he's already up-to-speed with some newer ARKit features like image tracking. His prototype app can recognize Nintendo Switch game packaging and display game trailers and online price comparisons within the camera view. Soerianto has garnered quite a bit of attention for his already prolific development career. In 2017, he became the youngest recipient of the WWDC scholarship, an award he repeated in 2018. Most recently, Wikitude gifted him with a copy of the Wikitude SDK 8.1. "He shared that he is up for developing an AR game next, so we gave him free access to our brand new SDK 8.1. Now he can create AR apps not only on iOS, but also on Android and Windows," Paula Perrichot, marketing director at Wikitude, said in a blog post. In an interview with Wikitude, Soerianto demonstrates that he already has a solid grasp on where the AR industry is heading, with a vision that aligns with many in the AR industry. "I'd say that AR glasses would be quite important in the future, and signs would be 'hovering' around! 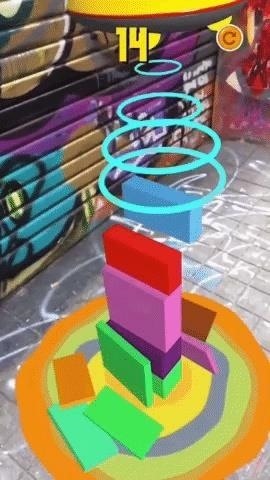 You might have seen the game shopping app I made with ARKit image tracking on Twitter recently. 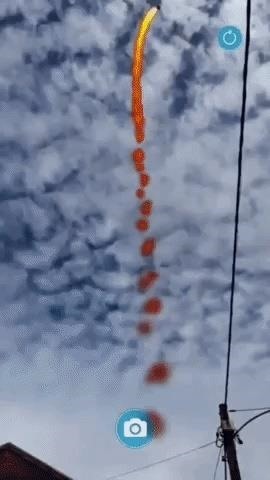 That's what I imagined the future would be with AR! Finally, electrical equipment nowadays (computers, phones, TVs) will be replaced by AR for convenience!" he said. As he's expanding his developer work, Soerianto is interested in integrating other technologies, like artificial intelligence and specifically machine learning, into his portfolio. We're already seeing how AR and ML can become familiar bedfellows. For example, last week Apple showcased how the technologies come together like Voltron in a basketball coaching app bankrolled by the NBA stars Steve Nash and Jeremy Lin and tech luminary/NBA team owner/reality show personality Mark Cuban, among others. Soerianto isn't even the youngest AR app developer out there, though! In March, Next Reality spoke with Mark Fleming, proud father of 8-year-old Nova. She had just published her first AR app, an AR art app called A.R.tist on the App Store. The tech industry recognizes the importance of facilitating the education in computer programming, with Apple, Google, and Microsoft among the companies with youth coding programs in place. While development platforms like Amazon Sumerian make it easier to create AR experiences without programming knowledge, the ability to speak and write code is what makes innovative apps possible. Generation Z is growing up at a time where smartphones and mobile apps have replaced Rubik's Cubes, Etch-A-Sketches, and other toys of my generation. The fact that kids are not only becoming familiar with coding but also emerging technologies like augmented reality and machine learning means they will be prepared to create the kind of apps that will be standard fare when smartglasses inevitably replace smartphones as personal computing devices.